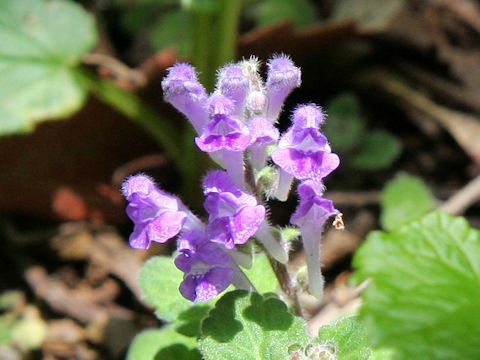 "Koba-no-tatsunami" (Scutellaria indica var. parvifolia) belongs to the Lamiaceae (the Mint family). It is a perennial herb that is native to westward from Kanto district of Honshu, Shikoku and Kyushu, also Taiwan and western China. 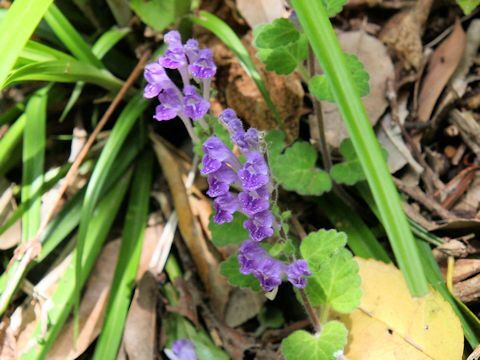 It is a variety of Japanese skullcap. 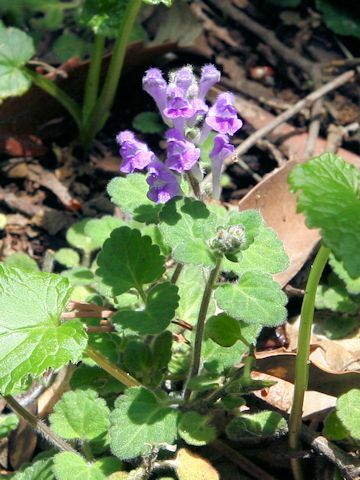 This herb grows in roadsides, grasslands and sparse forests, and can reach 5-20 cm in height. The leaves are broad ovate to ovate and pubescent. The magenta labiate flowers bloom from May to June.